Khua Por Vang was born to the parents of Cha Thao Vang and Ma Yang (both deceased), in Thailand on December 10th, 1955. He departed in the early morning of September 17, 2018 at 62 yrs of age. He leaves behind his beloved wife Sia Lee- Vang, along with five sons and two daughters. He is survived by his sons, Blia Vang (Mai Vue Yang), Ker Vang (Lilian Yang), Tom Vang (Kathy Lee), Jesse Vang, and Na Vang. His daughters, Ying Vang (Sao Xiong) and Phoua Vang (Tou Vue). He also leaves behind 7 grand-sons and 11 grand-daughters. Grand-sons includes Calvin Vang, Yuki Vang, Malakai Vang, Hiro Xiong, Gyden Xiong, Mokee Xiong, and Niko Yang. Grand-daughters includes Annie Vang, Celine Vang, Harmony Vang, Everly Vang, Luna Vang, Asia Yang, Priya Yang, Krystalina Vue, Lilyanna Vue and is expecting two granddaughters. 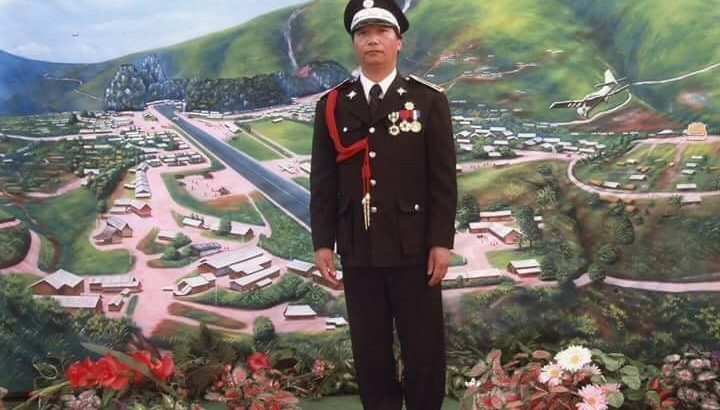 Senior Lt. Khua Por Vang served in the US Special Force in Laos during the Vietnam War in his early years, and will be remembered as a Lao Veteran of America, Inc.